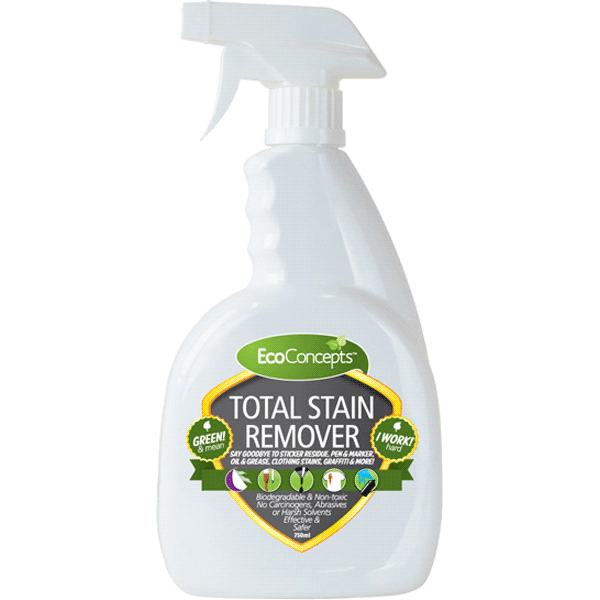 EcoConcepts Total Stain Remover is highly-effective in removing graffiti, gum, permanent marker, grease, oil, sticky residue, crayon, makeup and many other stains and soils from a variety of surfaces. 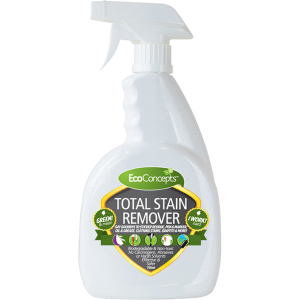 Unlike traditional graffiti removers, EcoConcepts Total Stain Remover is actually environmentally friendly and is much safer for you the user. Undiluted and ready to use, it will penetrate and remove graffiti from porous surfaces such as brick, stone or concrete, and effectively remove sticky residues left behind by labels. 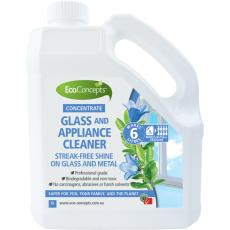 Always test in an inconspicuous area first, and can be diluted to more gently remove stains on plastic, laminate, metal, carpet and most painted surfaces. Ideal for the removal of permanent marker on whiteboards. Say goodbye to sticker residue, ink, grease, graffiti and more! Spray on, allow to soak if necessary and rinse off with water. Always test in an inconspicuous area first. Can be diluted to be safer for use on more delicate areas, such as pre-painted surfaces.